Supriya Damah's Photography, is the passion of a wedding and portrait photographer. Supriya Damah is based out of Mumbai and is a literature graduate who enjoys clicking candid pictures of people. She loves capturing the idiosyncrasies and emotions of people and is specially interested in wedding photography because of the myriad of expressions witnessed on such occasions. 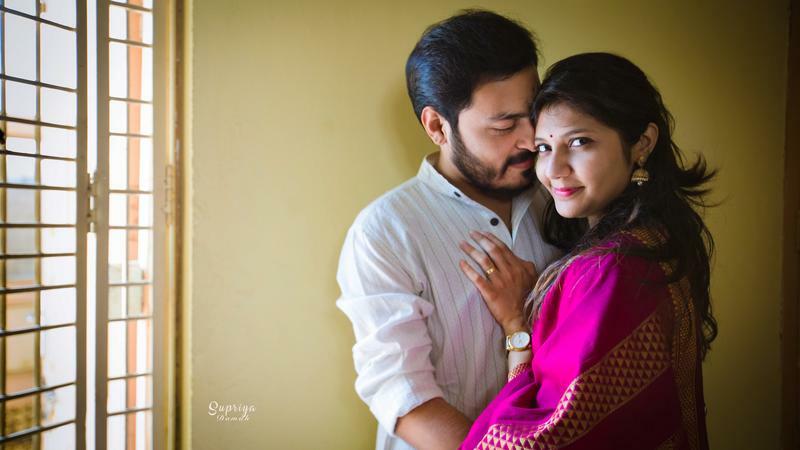 Supriya Damah's Photography is a Wedding Photographer based out of Dadar West, Mumbai . Supriya Damah's Photography's telephone number is 76-66-77-88-99, Facebook page is Supriya Damah's Photography and address is Dadar, West. In terms of pricing Supriya Damah's Photography offers various packages starting at Rs 35000/-. There are 0 albums here at Weddingz -- suggest you have a look. Call weddingz.in to book Supriya Damah's Photography at guaranteed prices and with peace of mind.